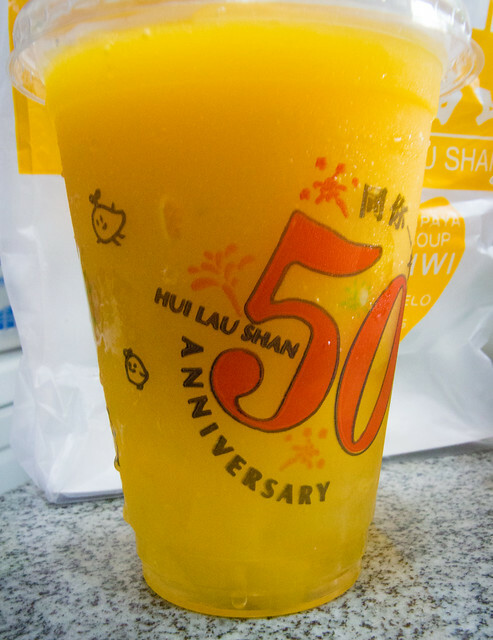 A family friend highly recommended mango drinks from Hui Lau Shan. I also remembered another friend really liked the mango drinks and/or dessert in Hong Kong. And I love mangoes! So, I had to check it out!! Each series had different options underneath, labeled by numbers. Orders are placed using the letters followed by the numbers, e.g., H1, B7, and A4. 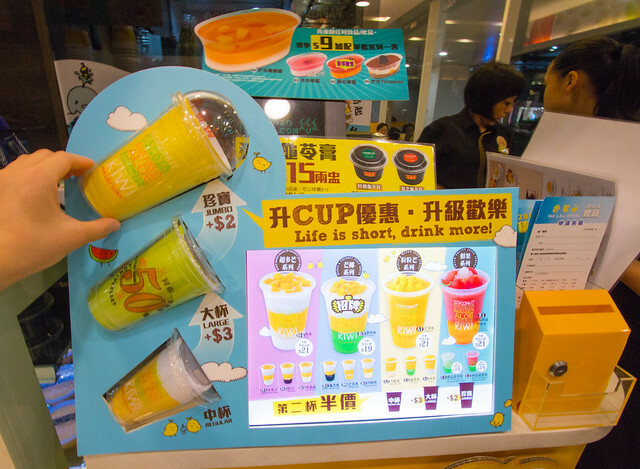 Hui Lau Shan’s drink sizes are smaller than what I’m used to seeing in the US. The jumbo size is usually the regular size in the States! I picked A1 in large size ($24 HKD). That’s mango & mango juice, with mango jelly!!! Look at those mango pieces at the top!! And the mango jelly at the bottom! Verdict: Yummy!!! 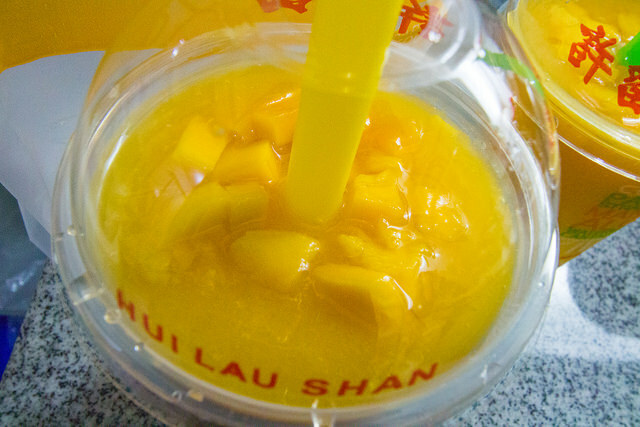 All mango lovers must get this drink when in Hong Kong!! !